But how do you safely and securely bring it with you on your move? What are the do’s and don’ts to ensure it will arrive at its destination in good condition? Prior to the move, it is important for you to clean our exercise gear. It is common for germs and bacteria to thrive in warm temperature, which may be present during your daily workouts. So disinfect this gym equipment before packing it. Very few of us will safely store an equipment manual. Don’t panic, you can easily search for this online. You can even watch some videos, too. Follow the instruction guide so as not to accidentally damage your gears. If at lost, ask someone knowledgeable to help you, such as a friend or gym enthusiast. They can most likely assist you in disassembling this equipment. Weights are heavy and can easily break bones, damage other furnishings and even crack floors. So if you are thinking to put your machines and benches together with the pack weights, then you have it all wrong. Your boxes can only carry so much weight. Thus, it is best to limit the items you’ll place inside these boxes. Rather than put it all together into one box, remove the weights and label each individually per piece. Make sure the note are visible, together with the weight contained by these boxes. Distribute these weights accordingly to ensure safer transport. Label these bags and place it into one box, rather than taping these accessories into your gym equipment. In this way, all of these tiny pieces will be in one place. Some of your gym equipment may be extremely bulky. Lessen the space it needs to occupy inside the moving track by asking treadmill and elliptical machine experts to help you disassemble it. If this cannot be done, see how you can get this equipment out from your door. Sometimes, thinking of how to move these items out and into your new house is a challenge. So start thinking about it and ask assistance early on to avoid any hassles. 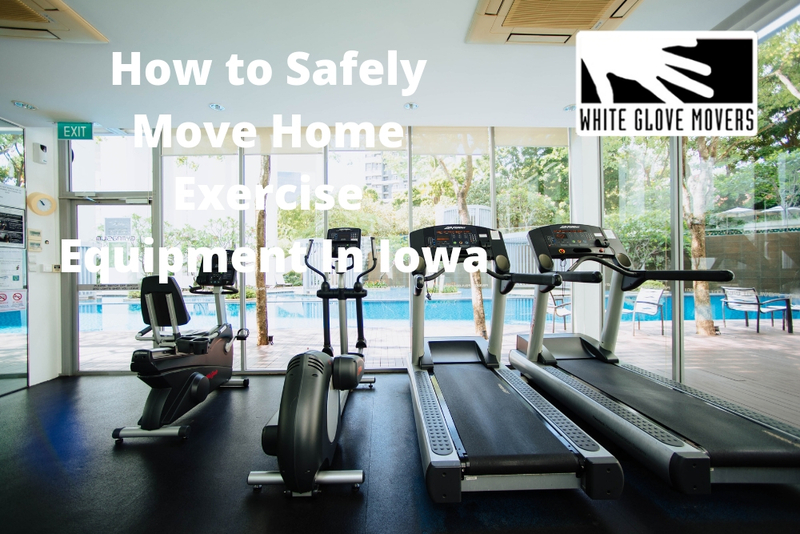 For any questions in moving your gym equipment to and from Iowa, our team of professional movers can help you. We are here to help make your move more convenient. Call us at 319.393.3000 or simply send us a message.